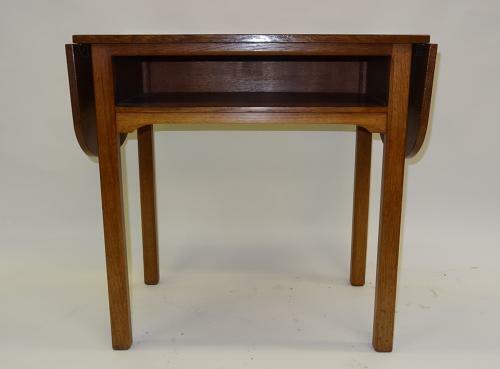 Lovely golden oak Cotswold School oak side/occasional drop flap table by the craftsman, Stanley Webb Davies; c1950`s. Fully stamped and marked with his cartouche. Approx 25"/42" wide (closed/extended), 24" high, 15" depth.